According to a report from iMore, Walt Disney World will begin accepting Apple Pay on Wednesday, December 24. The inclusion of Apple Pay will allow users to make contactless payments at the theme park using either an iPhone 6 or 6 Plus. The addition of Apple Pay is a part of Disney’s initiative to start accepting different methods of contactless payment. The initiative first started with its MyMagic+ program, which allowed them to build the RFID infrastructure that was needed to begin accepting payments from a variety of mobile payment providers. “Leveraging the RFID infrastructure deployed as part of MyMagic+, Walt Disney World will also accept other contactless payments, such as Google Wallet and contactless RFID credit cards. Walt Disney World, alongside Disney’s retail stores, were listed as one of Apple’s first partners for Apple Pay when it was first announced in September. 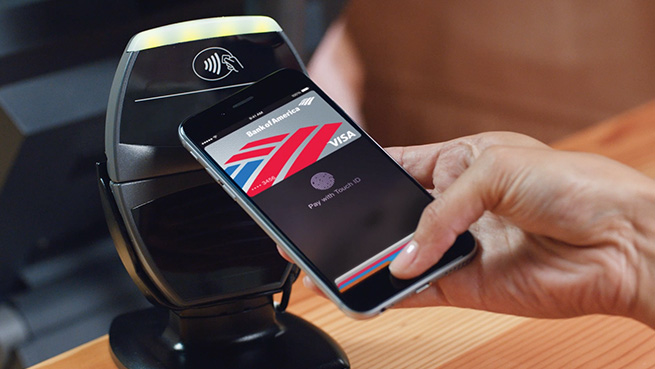 Apple’s contactless mobile payment solution has seen impressive early adoption numbers since its launch in October. In order to identify payment location that accept Apple Pay within the theme parks, look for the EMVCo symbol (as seen in the image above). Disney has also announced plans to bring Apple Pay to the Disneyland Resort in 2015.